We all know the drill. You download a file and it sits in your downloads folder eventually forgotten about. Or you lump all those lovely models, textures and styles you gather over time into the default C/User/Program Files/SketchUp..... location and things quickly become a mess. Then SketchUp go and release a sparkly new version and the whole process repeats itself again. Fear not....here's my take on how to properly setup custom library locations for SketchUp that will make life easy! Structuring SketchUp's file system from the beginning is the best way to keep a firm grip on your assets, become more productive and build something that is futureproof.....almost! Below you can see the folder structure I use for SketchUp. There's 10 folders of which 7 play an essential role in . The remaining folders are ones I add that facilitate other features in SketchUp that I like to keep in the same area. There is no hard and fast rule on the naming convention of the folder but it does help to keep them somewhat familiar with SketchUp's suggestions. Now that we have our folder structure in place it is time to let SketchUp know. With SketchUp open go to Window > Preferences > File to see the magnificent 7! In this example I will walk you through setting up a custom Material Library but the process is the same for each. Above you can see the Preferences dialog with the File tab picked. This will then show the dialog that allows you to add those earlier created folders as custom library locations. Go ahead an click the folder icon next to the Materials slot, navigate to your custom Materials folder and click OK.
Repeat for the remaining folders to now have SketchUp primed for total asset management. Typically you will download SketchUp Material collections in a compressed format that will need to be extracted or uncompressed. There are built in tools in your Operating System that handle this or you can download numerous free utilities that cover different compression formats. Below you can see a .zip folder of the Paving Pack that you can download from the Shop. Extract the folder and keep the folder hierachy in place. In this case I have extracted the suc-paving-full.zip into a folder named the same. My extraction software of choice is 7zip and it provides and option to extract the compressed files into a folder of the same name. Delving inside this extracted folder you will see a bunch of files with the extension .skm. 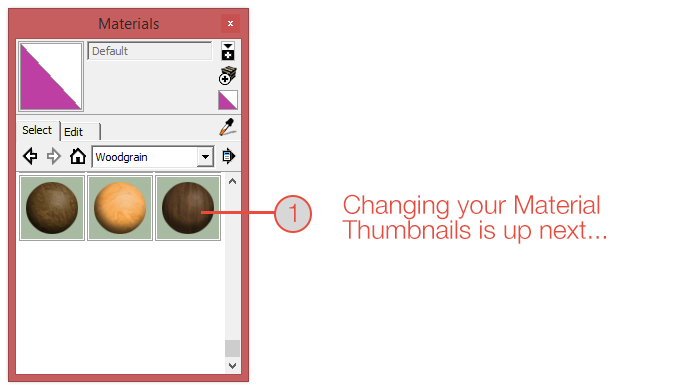 This is what SketchUp uses when you convert images into materials. What you need to do is add this folder to your custom library location so the final path would be path/to/folder/Materials/suc-paving-full/ with the .skm files within that folder. Now you can use the Details button in the Materials Browser to Open a collection... and navigate to your newly added library. You now can access te library at any time using Open a collection... or if you want it to be part of the Materials Browser on start up choose Add collection to favourites.. Remember earlier where I mentioned .skm files contained some hidden secrets? In the next tutorial we will show you how to add some extra flair to your material previews to make them a bit different! Does anyone know how to do this on a mac? My preference window doesn't have 'files' in it... Or is there something wrong with my installation? On Mac the File tab in System Preferences doesn't exist. Is it possible show the File tab on Mac? I agree great article but I can't find where to set these preferences on the Mac! Any help would be useful! 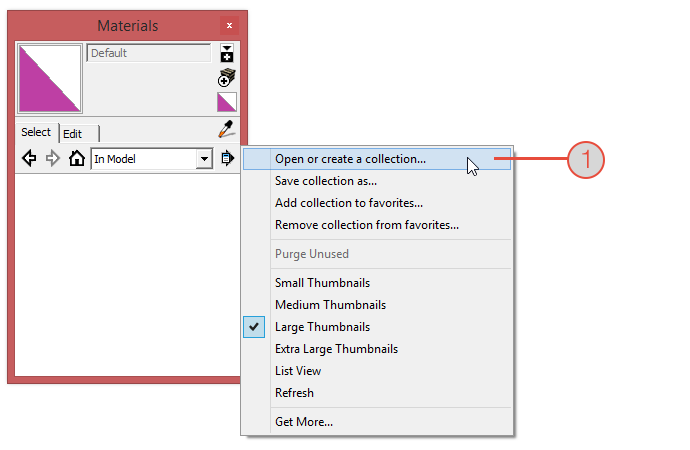 In applications folder, right click SketchUp, click "Show Package Contents." Then, navigate to Contents/Resour ces/Content/Mat erials/ and paste your stuff. When are we going to get to see Custom Material Thumbnails Rich? !